The Zulu based their kings off of Strength,Speed, and Abilities. 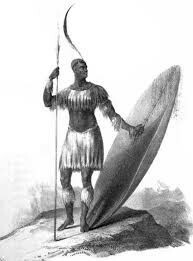 Their most notable king was Shaka Zulu (Pictured Below) who was a great warrior,chieftain, and he had a special ability which was he had poison spit. He stood at 7 foot tall 200 pounds and the fastest in the village also he had mental issues so his own people overthrew him. They voted by Strength,Speed,Abilities, and overall health because to them a weak king was no good you wanted a strong king to rule over you and make overall good decisions for your village and tribe. The Zulu people were a Democracy which means that the people voted.